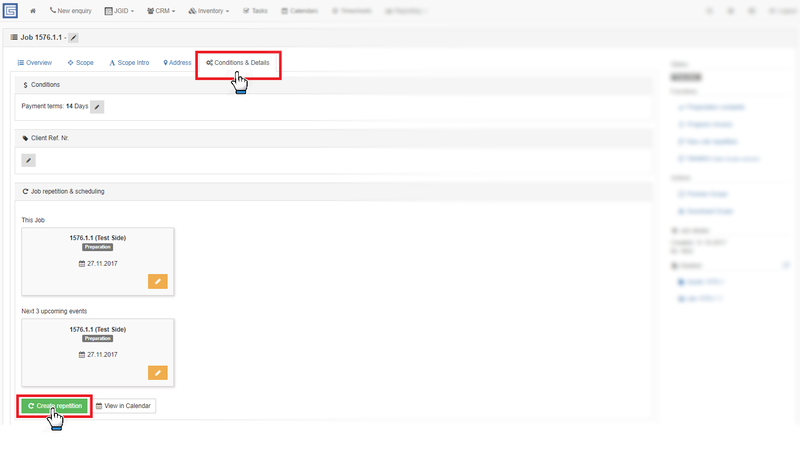 If your company manages same client projects that are subject to regular repetitons you can use the “Schedule repetition” feature that JGID comes equipped with. This will let you quickly book the appointments weeks or months ahead, ensuring that no service is neglected or mis-scheduled. Using the job repetition feature would also allow you to conveniently replicate the original project with all its aspects and parameters saving you time and making sure no unwanted variations are introduced to the original arrangement the client has agreed upon! To set up a repetition first Drag and Drop the Job from the Job Queue to the Calendar to schedule its commencement date. If there is an indefinite number of repetitions pending you can select the “Ends: Never” option. Use the Edit Repetition or the Stop Repetition buttons to further adjust or terminate the process of repating certain job. 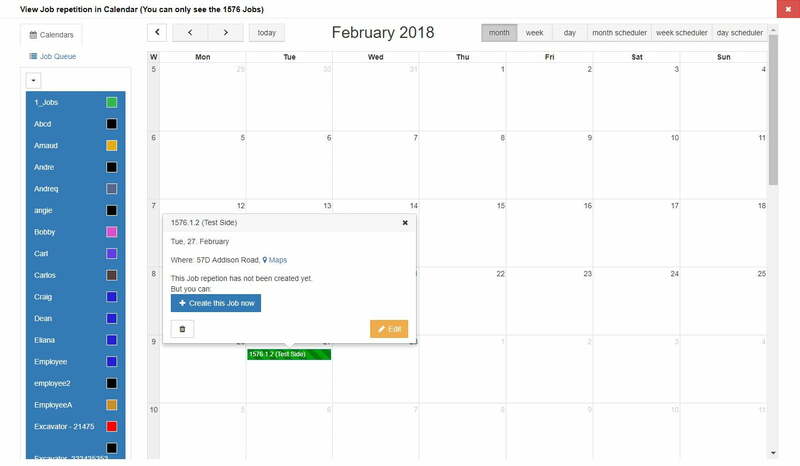 Use the View in Calendar option to see the details on this job and this job only, isolated from the other events and jobs already scheduled. Important: Remember that once scheduled, the Reptition is not automatically converted into an actual Job. It will be deployed in the Calendar more like an event waiting to be confirmed. 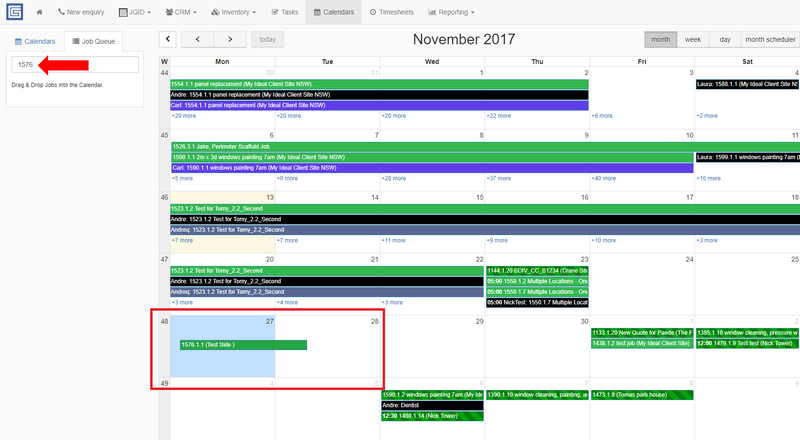 Therefore it is listed in the Calendar with a different lay-out entry displayed against striped green color background. There are two ways to turned the repetition into an actual Job. 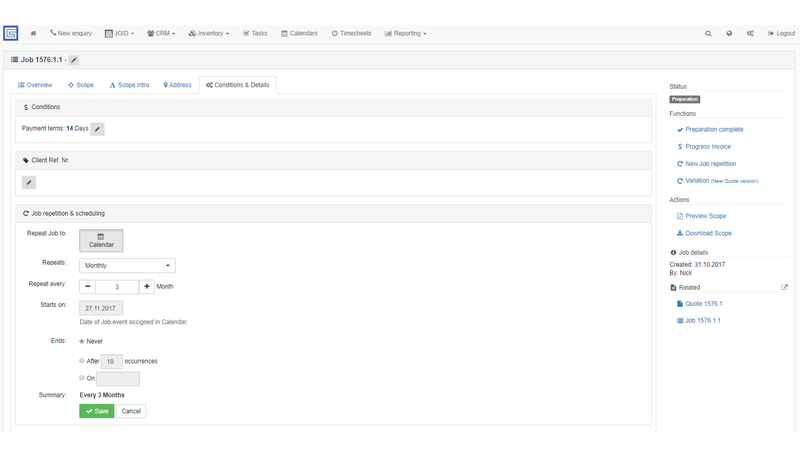 Option #2 – Manually create the repetition by clicking the “Create this Job now” button and confirming the action!